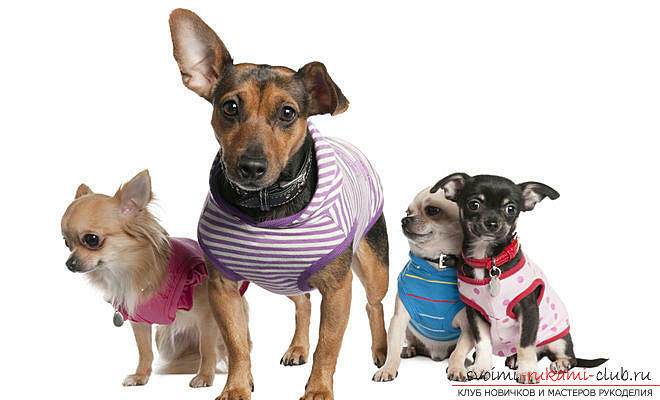 Warm clothes for small dogs with patterns by their own hands, photos and instructions. 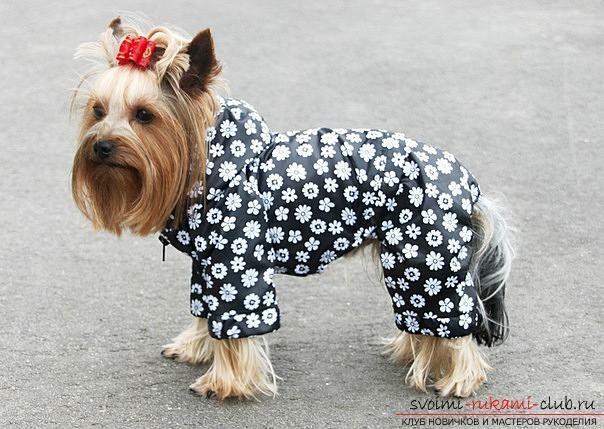 Any little dog needs his ownwardrobe. 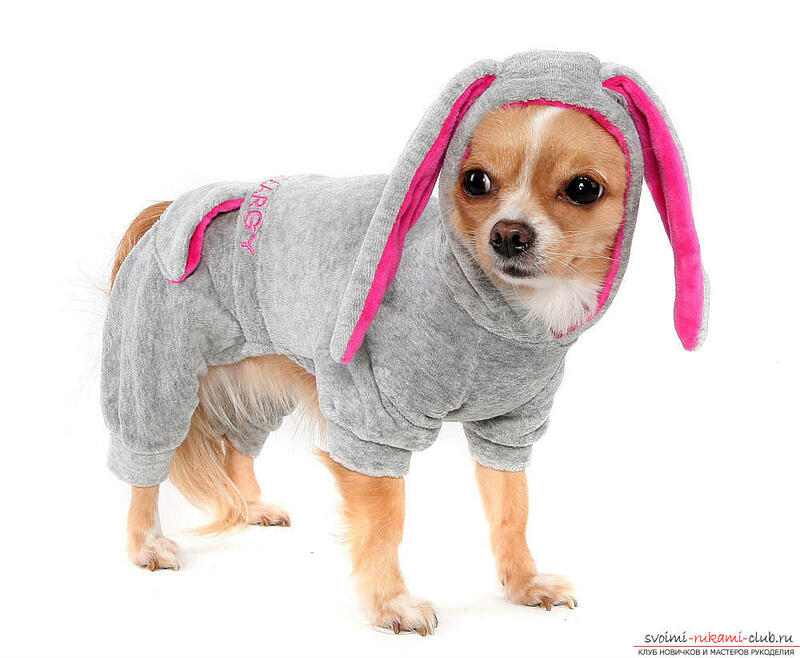 And it's not about a decorative suit, but about functional clothing, which is mandatory when keeping these pets. To such, above all, belongings for the cold season, as well as safety shoes. For walking clothes, a well-worn cloth is perfect. Autumn models are usually made of single-layer materials that prevent contamination of the wool. 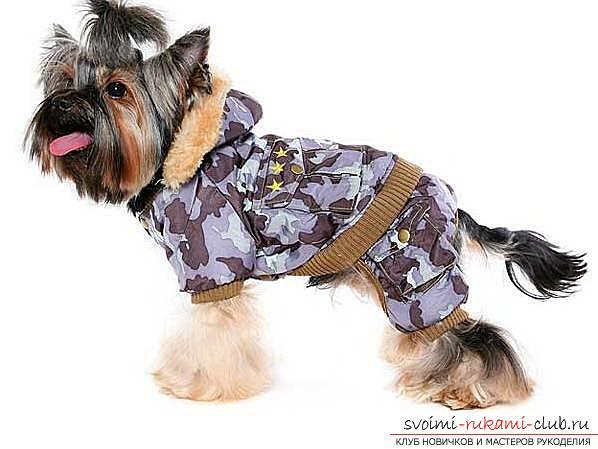 For winter options, which are in great demand among the owners of small dogs, it is planned to use insulated materials. The use of decorative clothing is much broader. And that means its more assortment range, which sometimes reaches the number of a human wardrobe. 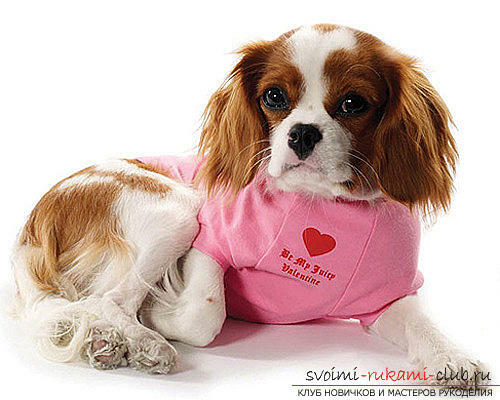 If you are only a beginner in sewing, this will not be an obstacle to hand-sewn clothing for your pet. For its debut model does not necessarily buy a new fabric, you can use your old jeans, T-shirts or jackets. Before building a pattern, you need to learn the principlestaking measurements from a dog. For this we give an illustration: 1. The size of the length of the back from withers to the tail. 2. The volume of the neck. 3. The volume of the chest. 4. The size of the waist. 5. Length of the tummy. 6. Breast width. 7. The length of the front legs. 8. The length of the hind legs. 9. The length of the tummy (for males only). 10. The size of one ear to the second. 11. Head volume. 12. The volume of the muzzle. We sew a simple blanket. So, first measure the length of the back from the neck to the tail (line AB) and the size of the neck circumference (the line of BAB). At your discretion, you can make the element "back" whole-piece or consisting of two parts. In the first version, the material must be folded in half, the AB line must lie on the fold line. For all details, we leave the seams on the seams. We connect a collar with a back on a segment ВАВ. The labels with the same name on the different elements must match. The collar is sewn into a ringlet, and a hem is sewn to the bottom. 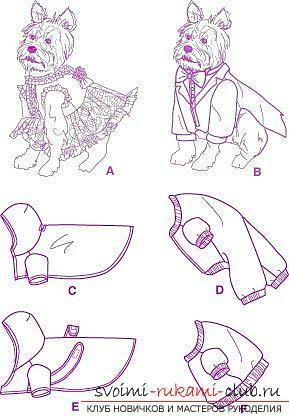 The T-shaped part of the girdle should grasp the dog's back and fix the horsecloth. In mark B you can sew a loop under the tail. In the case of a wider belt cutting, it will close most of the tummy. If necessary, the inset lining is sewn to the back part of the blanket. We sew the waistcoat. For this model, the following parameters should be measured: the length of the back from the neck to the tail; the volume of the chest behind the elbow joint. The first parameter is divided by ten - so we recognize one side of the square on the scale grid. Draw a mesh and transfer the pattern to it with the addition of seams on the seams. For the waistcoat, the "tummy" element will betselnokroenym, and the back - with a buckle to the full length. If you want to make a waistcoat with lining you will need to cut another set of details from the corresponding fabric. Elements of the lining are connected with the same elements of the front side and are smeared. The lightning is sewn or another buckle is made out. After that, the back and tummy elements are stitched togetherso that labels with the same symbols coincide. We process the collar and armhole. Also you can cut the collar and small sleeves from knitwear or tie them with rubber band knitting needles, after which they are sewn to the waistcoat. 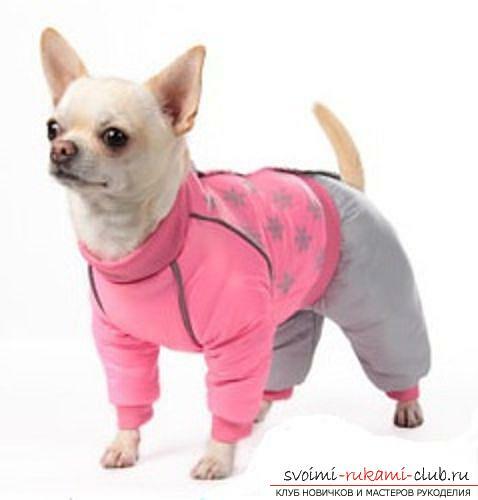 On this lesson on sewing clothes for small dogs with their own hands is completed. The idea of ​​a scrapbooking organizer with your own hands. Materials, step-by-step instruction. A variety of beaded trees made by own hands. Photo of souvenir handicrafts.